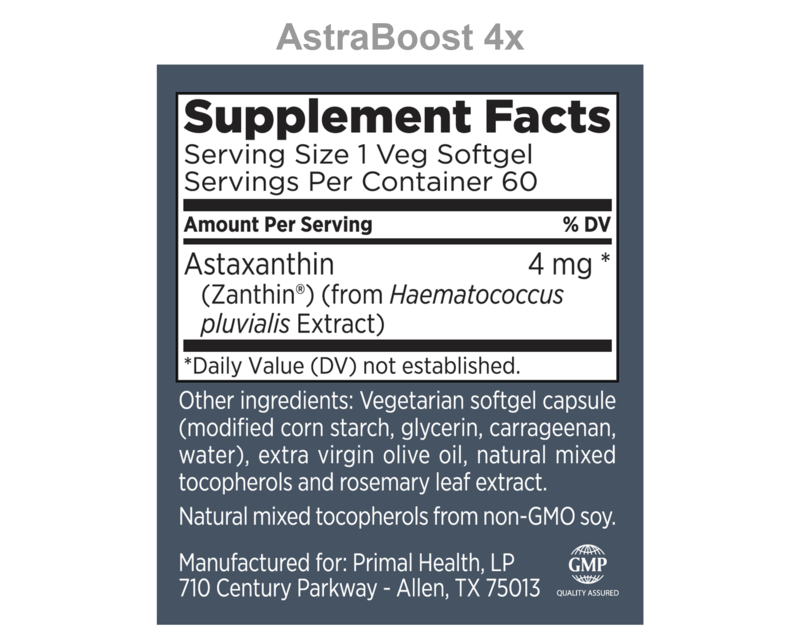 AstraBoost 4x is a naturally occurring carotenoid with a unique structure that is known to be a potent free radical scavenger. 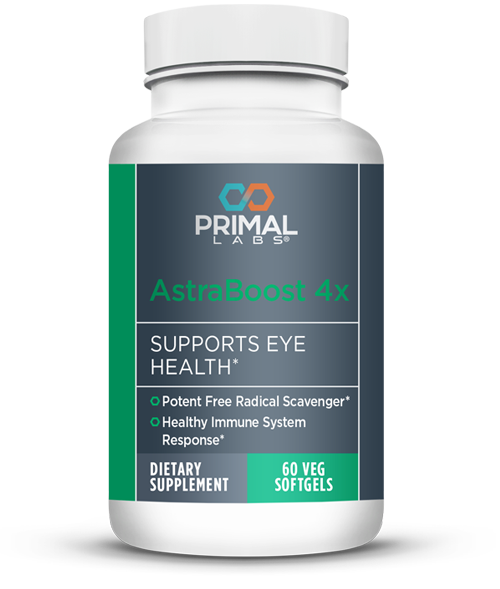 * Because AstraBoost 4x freely crosses the blood-brain and blood-retina barriers, it can neutralize free radicals in the eye and central nervous system. * Scientific studies also demonstrate that astaxanthin can support the body's healthy and balanced immune system responses. 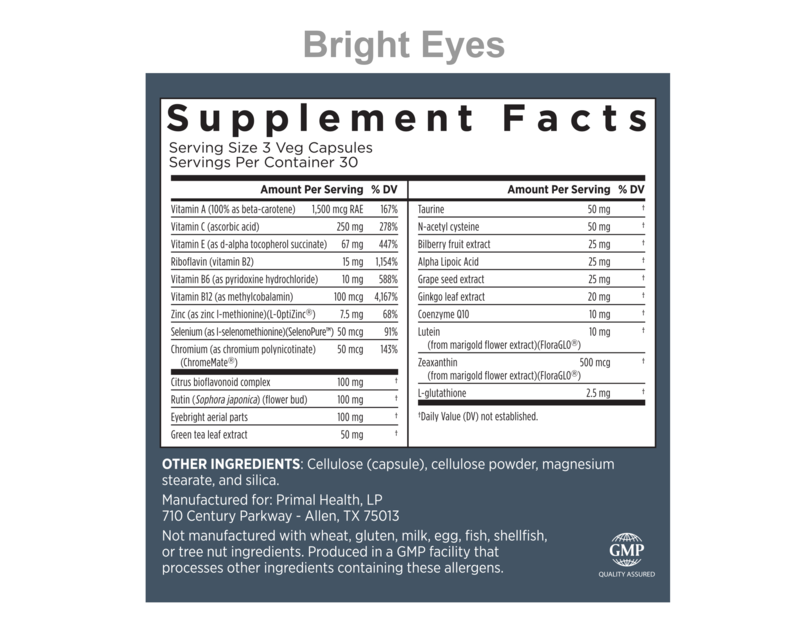 * This product featuresZanthin, which can help to support overall ocular health and promote a healthy nervous system. Bright Eyes guarantees your eyes the necessary 10mg of available Lutein. Whats more, its a powerful anti-oxidant with a potent mix of Green Tea Extract, Alpha Lipoic AcidandGrape Seed Extract. 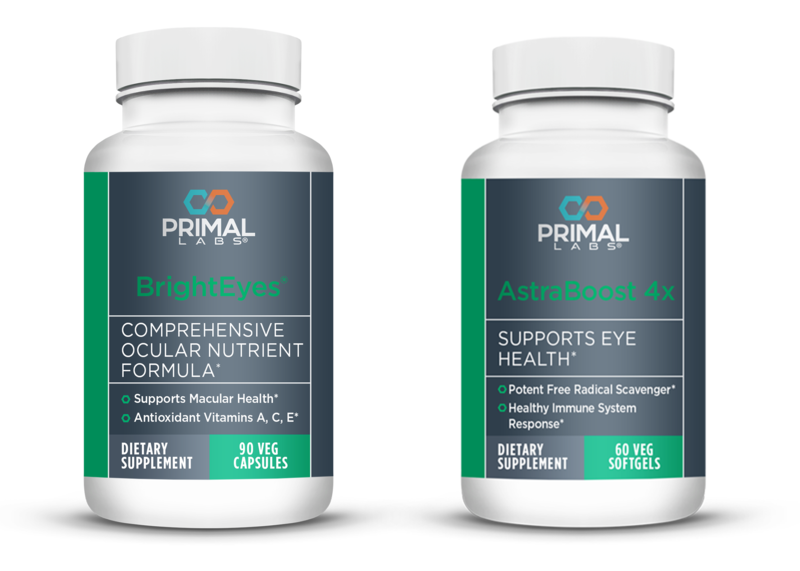 Together they fight the free radicals that run rampant behind your eyes.